Large-scale semantic processing and strong computer assistance of mathematics and science is our inevitable future. New combinations of AI and reasoning methods and tools deployed over large mathematical and scientific corpora will be instrumental to this task. The AITP conference is the forum for discussing how to get there as soon as possible, and the force driving the progress towards that. There will be several focused sessions on AI and machine learning for ATP, SMT, ITP and mathematics, a session on ATP/ITP Hammers, session on Formal Abstracts and natural language processing of mathematics, and several sessions with contributed talks. The focused sessions will be based on invited talks and discussion oriented. David McAllester If mathematical proof is a game, what are the states and moves? AITP solicits contributed talks. Selection of those will be based on extended abstracts/short papers of 2 pages formatted with easychair.cls. Submission is via EasyChair. Accepted contributions will be published in an informal book of abstracts for distribution at the conference. The (extended) abstracts of all the invited and contributed talks are now available online. If mathematical proof is a game, what are the states and moves? The conference will take place from March 25 to March 30 2018 in the CNRS Paul-Langevin Conference Center located in the mountain village of Aussois in Savoy. Dominated by the "Dent Parrachée", one of the highest peaks of La Vanoise, Aussois is located on a sunny plateau at 1500 m altitude, offering a magnificent panorama of the surrounding mountains and a direct access to the downhill ski slopes or cross country slopes in winter. The AITP registration and payment is closed. 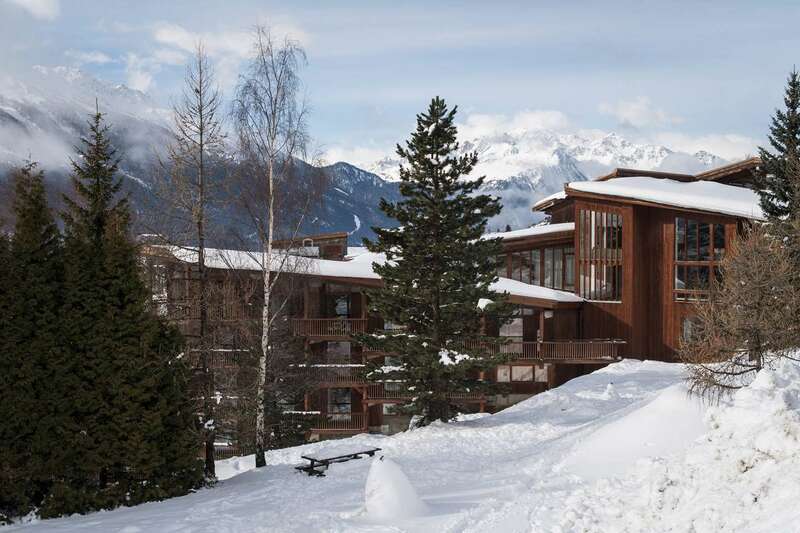 We have a limited block of rooms in the Aussois conference center and we have to confirm them by January 25 (after that reservation will be difficult or impossible). The pictures of the center and the rooms are here. There are twin rooms, either with double or single occupancy. The price for a shared room for five nights (March 25-30) is 550 EUR and the price for single occupancy is 650 EUR. If you want to share, you can e-mail us whom you want to share with (anytime after you register). The price includes full board, coffee breaks, the lecture rooms and our bus Modane-Aussois. Aussois is less than 2h from the airports of Lyon, Geneve, Chambery, Annecy, Grenoble and Turin. There are trains and buses from these airports. Aussois is 7km from the Modane TGV station. We will organize a bus for the participants from there to Aussois. Further buses to these airports / station can be found here. The first meal is dinner on March 25th and the last meal is lunch on March 30. The planned departure of our bus from Modaneto Aussois is at around 19:15pm on Sunday March 25. The bus will wait for the TGV train from Paris arriving to Modane at 18:47. The train starts at 14:41 in Paris Gare de Lyon, and it also stops in Lyon-St Exupery at 16:37 and in Chambery-Challes-E at 17:44. The distance from Modane to Aussois is 8km and there are taxis and alternative buses. We have not yet set the time for the departure of the bus after lunch on March 30. This will be optimized based on your departure flights. It may be possible to stay in the center (as normal tourists) also on Saturday/Sunday if you are interested in more skiing. Either arrange this with the center yourself, or let us know when you register and we will ask the center about the availability. Note that March 30 is Good Friday, however this is not a public holiday in France except for the north-eastern (Alsace and Lorraine) regions. Skiing equipment can be rented at the center for 18.70 € per day or 80.70 € for the week. A ski pass is 29 € per day or 26 € for 4 consecutive hours or 116 € for 4 days or 129 € for 5 days.